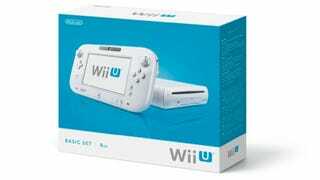 The Wii U Basic Set set is no more in Japan, Nintendo announced today. The Nintendo.co.jp page states that the 8GB Wii U is “slated to go out of production shortly” (近日生産終了予定). The 32GB model will continued to be sold, and Nintendo is introducing a white 32GB version in Japan starting in June. This has been a long time coming. Back in 2013, Kotaku heard some GameStop retailers in the U.S. were no longer selling the console. But Nintendo then issued the following statement to Kotaku: “To clarify: Nintendo is working with its retail partners to simply rebalance the stock of the White 8GB and the Black 32GB Wii U models in the market. Consumers looking for either model will continue to find them available.” But recently, it seems finding the console in the U.S. has been harder. In the past, Nintendo has often announced the discontinuation of hardware variations by similar notices on its official site. So, yes, the 8GB’s death is now official—in Japan, at least. No word yet how this will effect regions outside Japan.